Last weekend I was trying to clear our backyard of sticker brush so the dogs would not get it stuck in their hair. It was all along our fenceline. My goal was to pull it so that the root and all came out. I also had some tree limbs hanging over my yard and there was a bush that was growing between my neighbor's and my yard. I got out my wood clipper, cut the low hanging limbs, and moved on to the brush. The brush was harder to get to because of the way it was growing between the fence. I had to pull some of it or twist it after cutting to get it to come off. After I got it all done, I felt good about what all I had accomplished. A couple of days later, I noticed a rash on my arm and asked my wife what she thought it was. She said it was probably poison ivy and I believed she was right. I don't think I have ever had an allergic reaction to poison ivy or just never got into it before. I took some benadryl and went to bed that night and went to work the next day with no problems. The night after, the itching started. I scratched in my sleep and when I woke up my arms were a mess. I went to the doctor and got a steroid shot and we started cleaning and putting calamine lotion on it. It has nearly been a week and it still looks awful. The average time for it to clear up is about two to three weeks so I'm hoping by next week it will be gone. I did a search on poison ivy and found this site that has a "Skin Rash Hall of Fame". Mine is much nicer compared to some of those. We just got back from our latest vacation. It was for relaxation; we did not want a vacation we were forced to have something to do each day. In fact, we did a lot of resort activities and had a lot of fun. That's not to say we didn't go to shows and such off the resort. 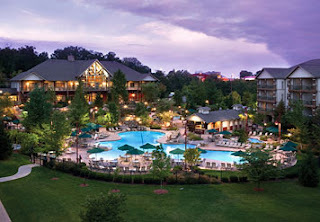 We went to Branson, MO at Marriott's Willow Ridge Lodge and stayed a week. The weather was nice the entire time we were there and we swam nearly every day. We played ping pong and pool in the entertainment center and watched several free movies on the big screen in their theatre room. One night there was a wine and cheese social (the kids drank soda). Another night we ate smores by a fire. We always go to a store the first day to get groceries for the week. Of course, we forgot something and had to return the next day to pick it up. When we entered, we were greeted by people offering us free show tickets to go to one of their presentations. By now, you know we can't help ourselves. We went and sat through the presentation. What they offered, Marriott already gave us. They were selling vacation packages and if we didn't own any timeshares, we might have been tempted to purchase. By the way, these deals always sound great. It's better to research up front who they are and what they offer. That way when you go in, you will already know what questions to ask and can make an intelligent decision. We ordered our tickets online before we left home for the following shows. When we arrived at the first show, Hamner Barber Theatre, we found ourselves on the very first row. 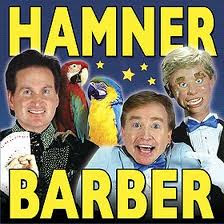 The show was great with magic, ventriloquism, and comedy. In fact, during the intermission a magician came out into the audience looking for an assistant. He handed my daughter a flower made out of balloons so naturally we thought he was going to take her up on stage. Instead, he pulled me up onto the stage. We did the introduction - name, occupation, etc. Then the real fun began. He started by placing a large magician hat on my head that fell to my shoulders. I was then taught how to take a bow after each magic trick. All of this act was done with my hands behind my back with a magicians tuxedo wrapped around my front and the true magician's arms in the sleeves. A hand came up to my mouth with a balloon requiring air. I attempted to blow it up and the magician pulled it out of my mouth and the crowd roared with laughter. The balloon was presented to my mouth again for air. I blew it up successfully and the magician started tying it when it flew out of his hand into the crowd. The next trick the magician was pulling out different colored handkerchiefs but somehow they came apart and the magic trick failed again. I reached down to try and save him and he reprimanded me saying that I should not have three arms. I was just trying to help :) The one handkerchief he was able to pull out turned into roses and I bowed. For the last trick the magician took the top hat off of my head and pulled out a real rabbit. I reached over and petted it but it was shaking nervously so I pulled my hand away. I bowed and was released from duty and went to sit back down. The rest of the show was dedicated to the United States Veterans and was very moving. 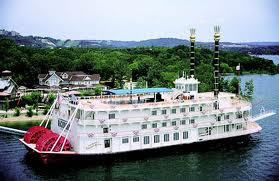 The second show was on the Branson Belle. 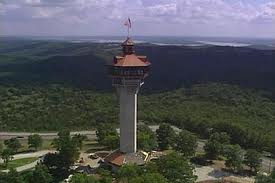 The Branson Belle is a large boat ride where you are given dinner and a show. If you ever get a chance to do this, I highly recommend it. Our show contained music from five band members playing a guitar, bass guitar, drums, piano, and Tenor Saxaphone / Keyboards. They were actually background to the whole show but were great. The show had two groups. The first group was a one woman performer playing a violin or piano and singing. And if that were not enough, she performed an acrobat act where she hung around playing the violin. The second group consisted of a five member acapella group. The host of the show was a magician / comedian. He pulled a young girl from the audience and pulled a puff ball from her ear and her eyes lit up. He presented two to her and had her hold them in each hand. He did a trick saying the ball from the left hand would move to the right and had her open her hand. In her hand appeared two balls. She was amazed again. But you should have seen her face on his last trick. He had her hold two in one hand and said when she opened there would be no balls. When she opened her hand five or six balls fell out. It was the most shocked and amazed face I have ever seen. Priceless. After dinner we went out on deck and looked at the large red wheels moving the boat forward. We visited every floor and Amy and Emily met the Captain of the boat. At Silver Dollar City we visited Marvel Cave which is really cool. Make sure you do not have to go to the bathroom before taking the tour. There are no bathrooms during the tour. In the fall, I was told that you would see bats. We did not see any during this summer visit. If you go and want to see bats, try to plan for Septemeber or October. 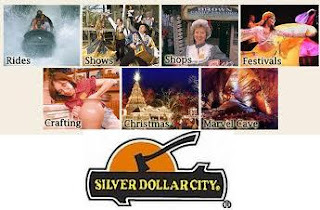 We love roller coasters and Silver Dollar City has a couple of really good ones, Powder Keg and Wildfire. There was a third one we were going to ride but it was shut down while we were there. All in all, it was a very relaxing and fun-filled vacation. We started our timeshare journey in 2008 and have taken advantage of its benefits for three years. We have had no problems, and after acquiring the second timeshare points, we forsee many more successful vacations in the future. We returned home scared and happy about our timeshare purchase. We were worried how our friends and family would react so we told no one about it. It was 2008 and we had used it one time. We payed our first maintenance fee. We had budgeted it so it was no problem. It was hard seeing the money go but we had high hopes that it would be worth it. We decided to trade in our entire room in 2009 for vaction points and didn't take a vacation. We saved our money and took the kids to Disney World in 2010. In early 2010, Amy booked a half room, knowing we would not spend much time at our resort, for Disney World. She found one in Orlando named Marriott Grande Vista and had no problem getting it for the day after Christmas and over New Year's. Take a look at the pictures of our Disney World vacation if you are interested. 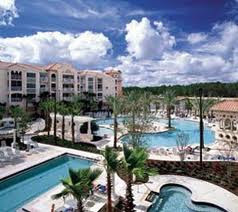 While we were at the Florida resort, we attended another timeshare presentation. We were given an opportunity to purchase another part of Marriott. We found out they changed from trading to a point system. 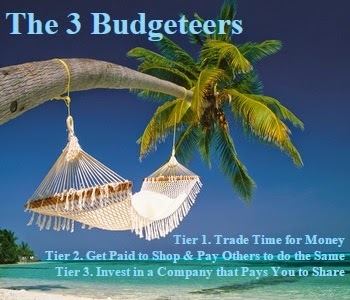 Instead of relying on a place to be available for trade you were purchasing points to use for vacationing (these are also deeded and can be passed down), it was more like booking a stay at a hotel where you call and ask for the days you want. All the fees went away except the maintenance fee. I had to talk Amy into it again because she was still skeptical about the whole thing. She liked the new changes but told me again that I would be in big trouble if this didn't work out the way the sales person pitched it. 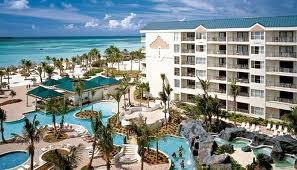 Now we are owners of two timeshares and have more points/time for vacationing!